On 20 November 2015, the Federal Treasurer Scott Morrison requested that the Productivity Commission undertake an inquiry into the regulatory burden imposed on Australian farm businesses with the hope of increasing agricultural productivity and competitiveness. The Australian Government Productivity Commission released a draft report (Regulation of Agriculture – Draft Report) in July 2016. The purpose of the report is to review the impact of regulation and define priority areas for reducing ‘red tape’ around the development of new technologies, investment opportunities and relevant environmental protection and native vegetation laws. We take a look at the Inquiry’s dealings with native vegetation management and the relevant recommendations of the report. The rules concerning native vegetation management throughout Queensland have been highly contentious over the years. Not only due to the confusion created by the frequency by which they change, but also due to the polarising views related to the act of clearing native vegetation itself. On the one hand, native vegetation loss is generally the leading cause of biodiversity decline throughout Australia and on the other hand, laws restricting native vegetation clearing inhibit economic gains sought through land use change developments. Queensland agricultural businesses are regulated by a plethora of legislative instruments, with AgForce estimating such companies are controlled by up to 75 State Acts and Regulations, not including government by-laws, associated codes or federal legislation. Any actions landholders have that may impact on native vegetation are consequently highly regulated by the Vegetation Management Act 1999 (VMA), the Sustainable Planning Act 2009 (SPA), the Vegetation Management Regulation 2000, State policies, regional vegetation management codes, an offset policy and a regrowth vegetation code. Before the 1990s, land clearing was much less controlled by governments. In fact, leases were given to land holders with a condition of developing their land through the removal of vegetation. However, for the last 25 years, native vegetation legislation has generally changed to protect native vegetation against clearing for development. By 2003 the Queensland Government had phased out the clearing of remnant vegetation throughout Queensland and in 2009 the Bligh Government extended the legislation to protect High Value Regrowth. Recently, in 2014, the Newman Government amended the VMA to enable landholders to clear native vegetation for the purposes of developing high-value and irrigated high-value agriculture (HVA). 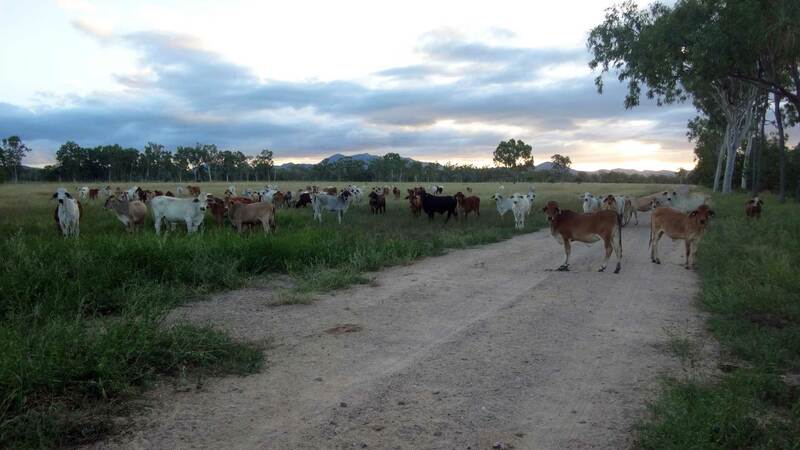 In response to this change, the rate at which landholders cleared vegetation increased throughout Queensland. However, while their actions were permissible under the state-granted HVA permit, whether or not they were compliant with federal legislation was questioned and many landholders were notified of potential breaches of the Environment Protection and Biodiversity Conservation Act 1999 (the EPBC Act) by the Compliance Division of the Federal Department of the Environment. An additional complication, is that the current Palaszczuk government has begun reinstating the vegetation protection laws recently repealed by the Newman government with thee introduction of the Vegetation Management (Reinstatement) and Other Legislation Amendment Bill 2016. Additionally, codes associated with the VMA are currently being reviewed to ensure they meet objectives such as reducing greenhouse gas emissions. Clearly, with such an incredibly active body of legislation, it is understandable that many Queensland landholders may voice concern of reduced productivity due to the high uncertainty relating to native vegetation legislation. The Inquiry’s terms of reference identified regulation concerning native vegetation management, at all levels of government, as potentially: unnecessarily restricting farm management decisions, reducing investments and raising costs for farm businesses. provide recommendations to alleviate regulatory burden identified. The Inquiry received 92 initial submissions outlining various concerns of which in depth submissions were received by organisations such as: AgForce, National Farmers Federation, Queensland Farmers Federation and Canegrowers, discussing concerns of reduced agricultural productivity from the native vegetation management legislation in Queensland. Do not appropriately reflect social and economic priorities. How did the draft Regulation of Australian Agriculture report address these concerns? The draft report acknowledged that farm businesses are burdened by a vast and complex array of regulations applied by all three levels of government. The report further acknowledges that this burden not only impedes understanding of regulatory requirements by farmers, but it also adds to their costs of doing business. The report highlights that native vegetation management legislation requires fundamental changes to appropriately assess risks and impacts at landscape scales and account for economic and social considerations. The report also states that governments need to improve their consultation and engagement practices to further support landholders to understand environmental regulations and their associated requirements. It was also suggested that the governments better coordinate their actions, both between agencies and governments. While the Commission supports government efforts to streamline certain regulatory processes with the implementation of the One-Stop Shop, it suggests that more work is required. It recommends that market-based approaches to conserving native vegetation should be investigated whereby the government could financially compensate the environmental services protected by landholders. Finally, the Commission also recommends that where land is allocated for conservation by the government, sufficient resources must be allocated to prevent degradation of this land (and subsequent indirect impacts to neighbouring properties) from invasive species. Public submissions on the report are open until 18 August 2016. Public hearings are to be held starting in August 2016, where participants will have the opportunity to elaborate on their submissions. Once the report is finalised, it will be handed to the Australian Government and subsequently published. You can view the draft report here.